Cochinita pibil has roots in Mayan cooking. The ancient dish consists of chunks of pork marinated with achiote (a flavorful, spiced induced paste made from annatto seeds, coriander, garlic and other spices) and wrapped in banana leaves before being placed in an outdoor oven. It is one of those dishes that takes hours to make but the labor is rewarded with a spiced filled explosion in your mouth. Yum yum. This meat-free version subs the pork for tofu. The great thing about tofu is it takes on the flavor profile of any sauce you infuse it with. 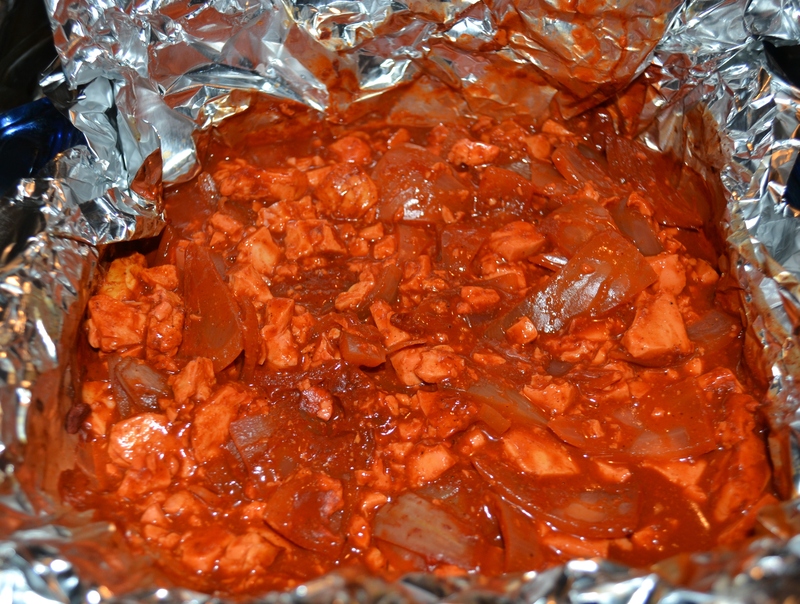 I let the tofu marinate in the achiote sauce overnight then bake it with onions. The onions add a touch of sweetness to balance the sauce. Place tofu and onions in a glass container lined with either foil or plastic wrap. Sprinkle salt over the tofu and onions. Blend orange juice and achiote paste in a blender until well blended (using your hands mush the paste before tossing into the blender). Make sure to wash hands and blender immediately because achiote can stain. 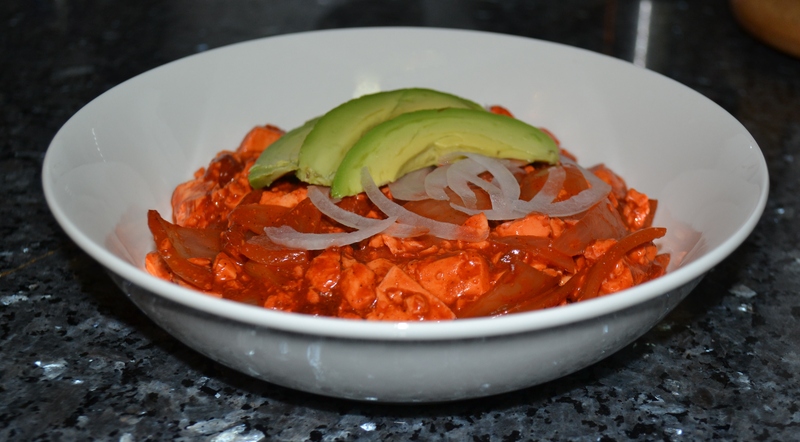 Pour achiote mixture over tofu and onions and mix well. Let marinate for at least 8 hours (overnight preferred). Preheat oven to 380 degrees. 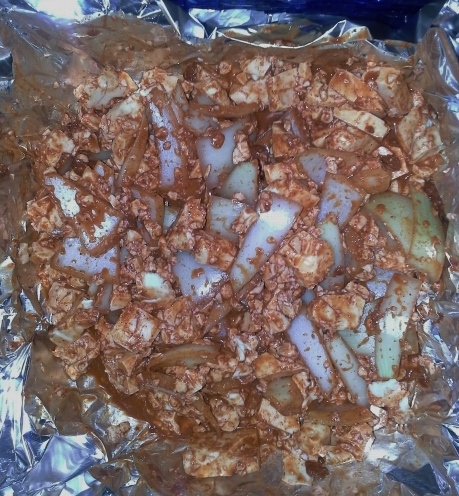 Place tofu in an oven safe dish and bake for 50 minutes or until heated through and onions are soft. Let stand for 5 minutes. Garnish with avocado and raw onion. Eat with tortillas. I want to do this with seitan. How long should I marinate it for? I haven’t tried it with seitan but it could probably stand to marinate at least overnight (I would guess even 10-12 hours) since it is dense. Let me know if you try it out!